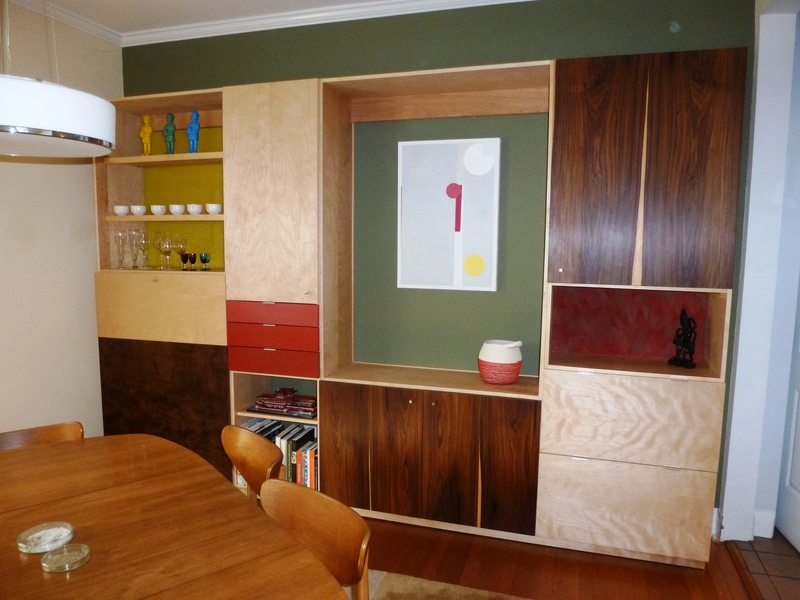 A Mid-Century Modern Ensemble - NR HILLER DESIGN, INC.
A wall of built-in storage and display space frames a painting by Medina Morphet, sister of clothing designer Alexandra Morphet and her husband, Jonathan Elmer, my clients. Birch cabinetry blends open and closed areas with accents of rosewood (the streaks of sapwood are intentional), paint, and walnut burl. The birch panel at the far left end folds down to reveal a bar. 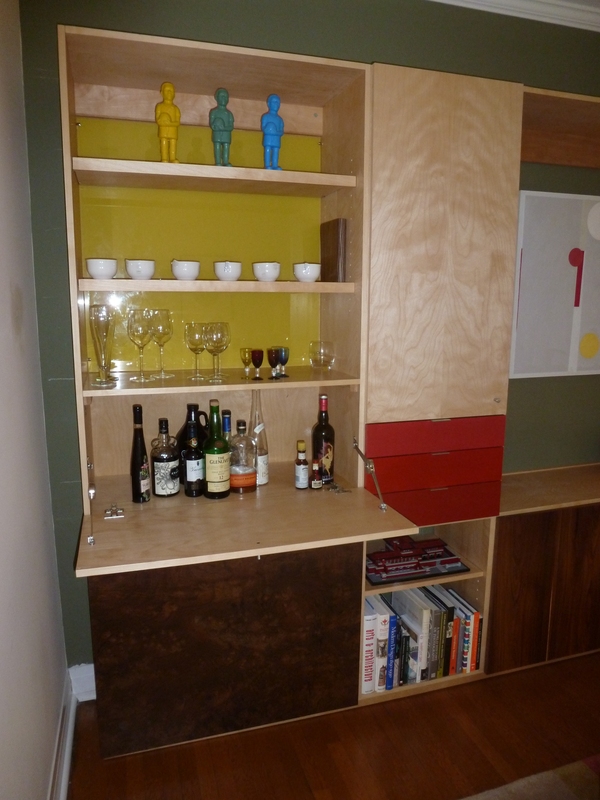 The cabinet back above the bar is faced in back-painted glass. The two large drawers at the right end hold file folders; the back of the open space above them is covered with repurposed kimono fabric–Alexandra’s idea.